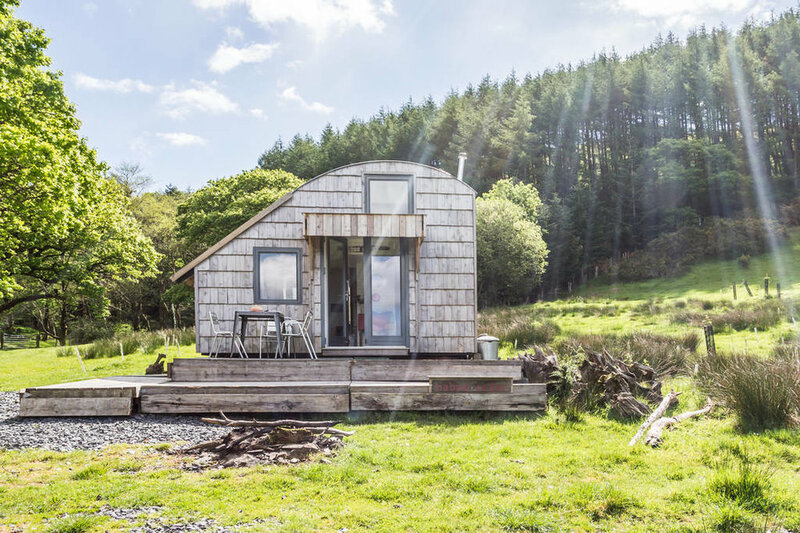 This curved cabin sited at the top of a hill is crafted from an eclectic collection of found objects and restored parts. With long-reaching views and mountain biking trails from the front deck, you'll be plotting adventures from the moment you arrive. There’s a living area with a double sofa-bed, a dining area and kitchen. The sleeping loft above has a double bed and a little window seat. 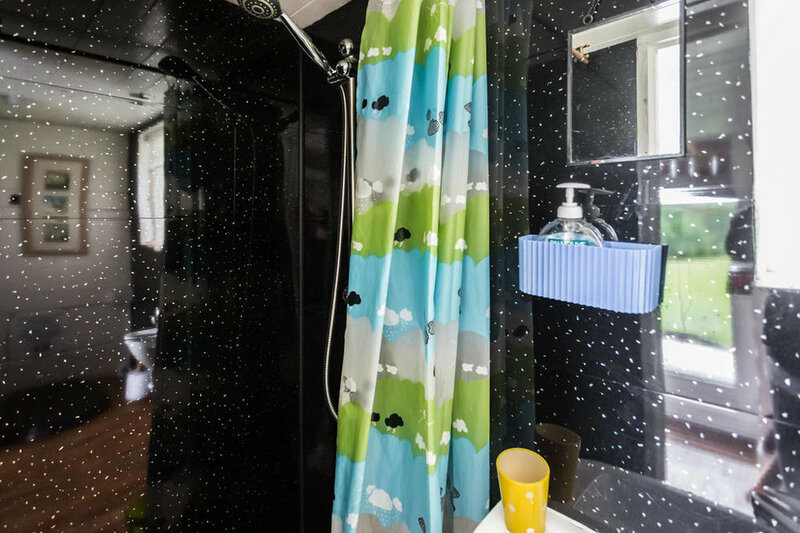 There’s also a small bathroom with a hot shower and flushing loo. 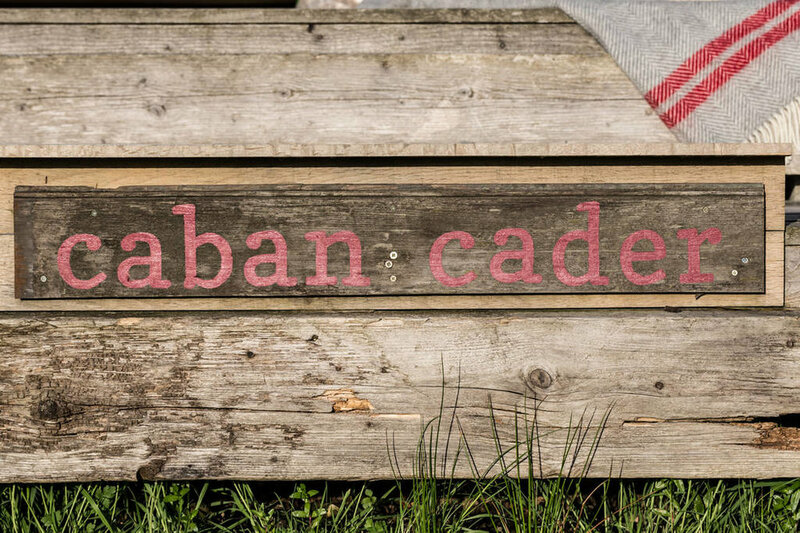 Caban Cader offers a light and spacious place to stay, made of an eclectic collection of found objects and restored parts, not least the floorboards from a former BBC studio! 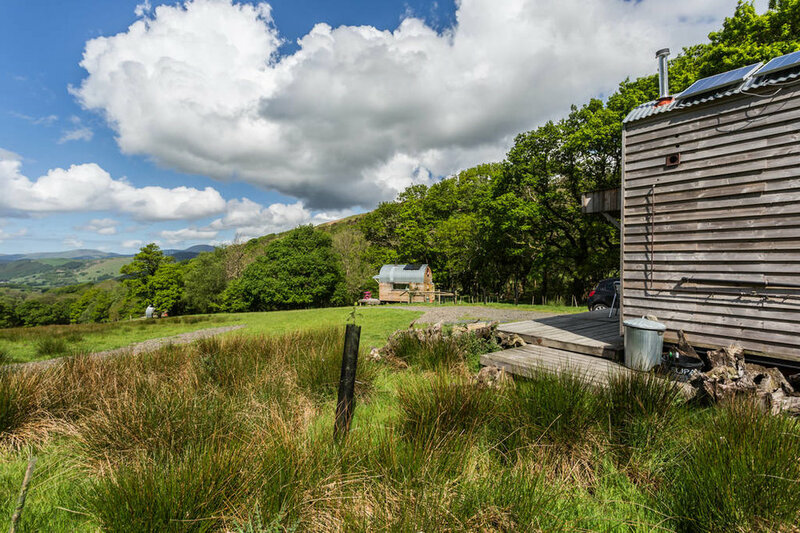 Outside, you can build a fire and relax on the deck, with stunning valley views that invite you to venture out. 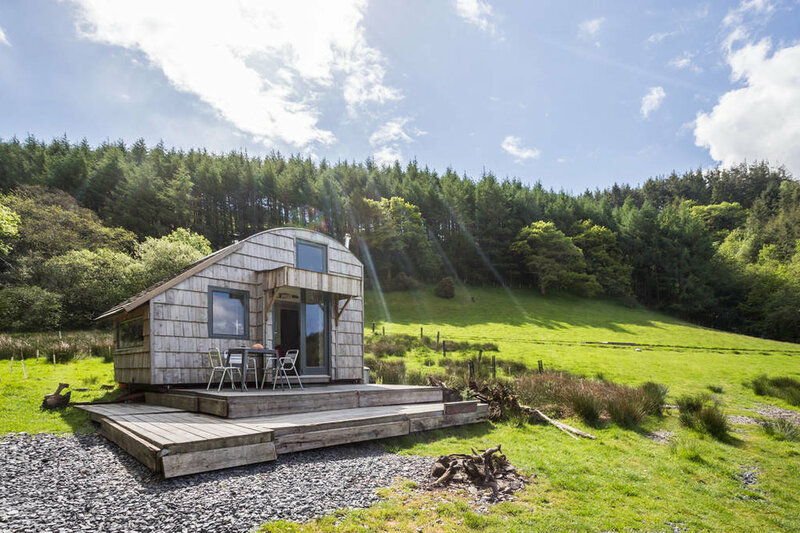 Custom-made downhill bike trails thread through the woods or there are maps in the cabin for hikes across the valley and all the way down to Machynlleth five miles away, where you can find great pubs, restaurants and craft shops. You could even head out to the coast and brush up on your surfing. Children & pets are welcome. Space for 2 pets from £10 per pet per stay.